Vintage Goodness for the Modern Bride. This issue is chalk full of real weddings from around the world all deep in tradition.. new and old. 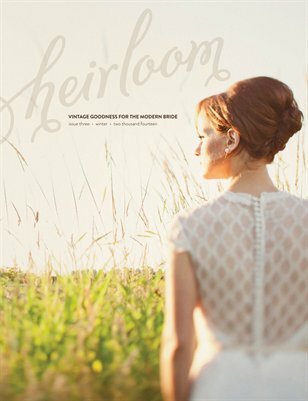 Super easy DIY wedding projects, inspiring editorials and a classified section to help you choose vintage focused wedding and event vendors.